Our pets are part of the family and spoiling them is one way of enjoying the fruits of our labour, after all nothing give us quite as much joy as those cute little fur faces! We are working tirelessly to bring the very best products and brands from around the world to your doorstep so your fur family can be just as stylish as you are. Our team includes marketing professionals, interior and graphic designers and brand lovers who appreciated good style and products that enrich our lives. We have worked closely with online developers to give you a secure, interactive shopping experience that keeps your needs in mind. Take the plunge, ease into our store and start embracing the high life! What Is The Happy Tails Box? 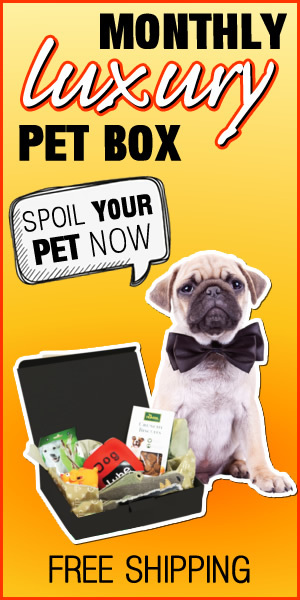 For Humans it’s a monthly delivered entertainment pack filled with premium toys, treats and chews, sourced just for your Dog or Cat and not forgetting you we have in every box a surprise gift for yourself the pet owner. With so many pet products on the market, it’s a challenge to know what to buy for our pets most people, is this toy safe for my dog? Will my pet like this treat or food? Where is it manufactured? Will my pet like it? Most time we buy products based on looks, and basic information imparted by sales staff. We have taken the guess work out of the equation; from heavy chewers to special allergies we hand pick the finest product offerings just for your peace of mind. Each Happy Tails Box contains good for you treats, tempting toys, high street fragranced grooming products and posh pet accessories, hot off the jet stream trends of the world. The contents of each box are carefully sourced, tested and researched.